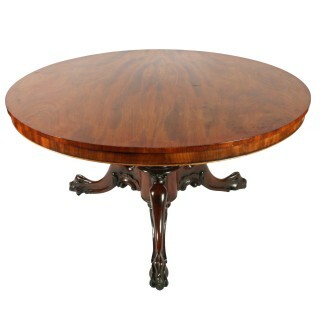 A middle of the 19th century Victorian breakfast or centre table. 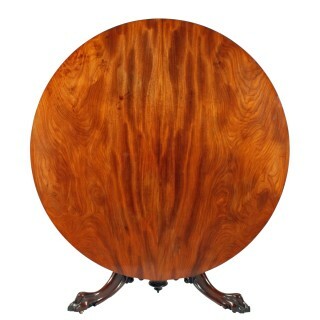 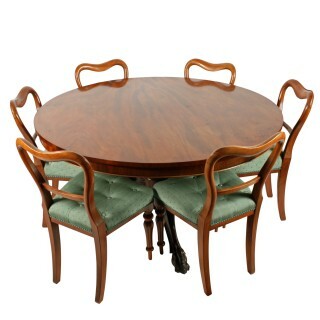 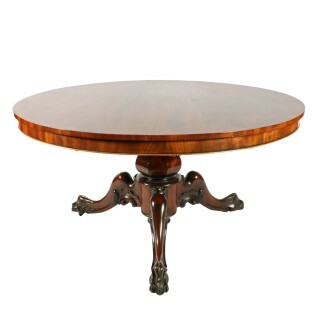 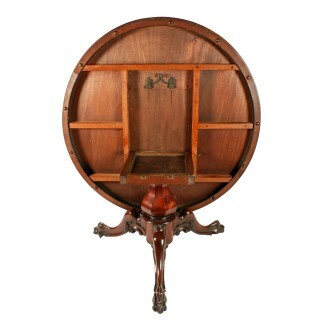 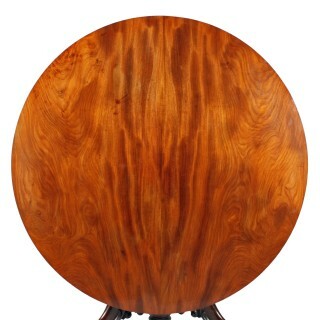 The table has a circular figured mahogany veneered top with a square edge sitting on a tripod base. 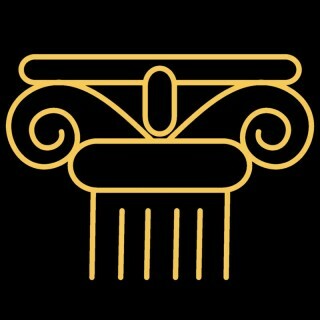 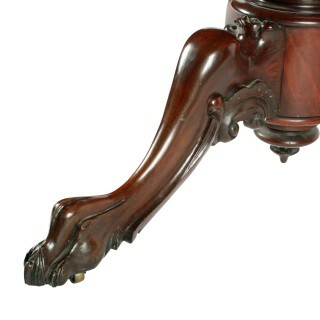 The base has three cabriole legs with carved claw feet, carved scroll supports and an octagonal sided baluster shaped stalk. 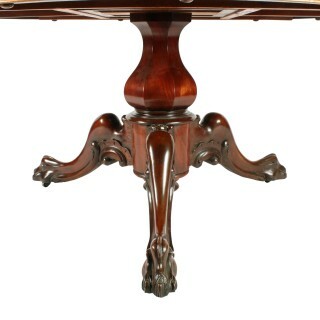 The table top is pinned to the base and has a brass release catch so that the top tips.